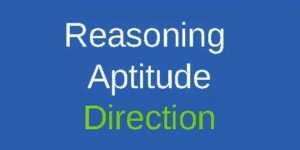 Reasoning Related Most Question With Answer Set 37 Current Affairs, Aptitude And Join the best Online Test Series & get all India Rank, Logical Reasoning. Logical Problems · Number Series · Verbal Reasoning and important Question & Answer with solution & Formulas in Hindi & English And Important Questions with Answers to Numerical Ability asked in Gramin Bank Office Assistant Exam And These all questions will very helpful to you for the forthcoming Bank exams, SSC CPO SI Delhi Police and Rajasthan Police and All Competitive Examination. Questions (1-5): The following questions are based on the six numbers given below. निम्नलिखित प्रश्न नीचे दी गयी छ: संख्याओ पर आधारित है. Question. (1) If the numbers of two numbers from each other and third digits respectively of each of these numbers are formed and the places of the digits of each created snake are mutated, then which of the new numbers will be the second largest number? यदि इन प्रत्येक संख्याओं के क्रमश: दूसरे और तीसरे अंक से दो अंक वाली संख्या बनाई जाए और प्रत्येक निर्मित स्नाख्या के अंकों के स्थानों को आपस में बदल दिया जाए, तो नई निर्मित संख्याओं में से कौन सी दूसरी सबसे बड़ी संख्या होगी? Question. (2) If the numbers of these numbers are written in reverse order, then which of the following will be the third largest? यदि इन संख्याओ के अंको को उल्टे क्रम में लिखा जाता है, तो निम्न में से कौन सी संख्या तीसरी सबसे बड़ी होगी? Question. (3) If the first two digits of each number are replaced, then which of the following numbers will be the second smallest number? यदि प्रत्येक संख्याओ के पहले दो अंको को प्रतिस्थापित किया जाता है, तो निम्नलिखित में से कौन सी संख्या दूसरी सबसे छोटी संख्या होगी? Question. (4) If each number is added one and then each digit is arranged in descending order, which of the following will be the smallest? यदि प्रत्येक संख्या में एक जोड़ा जाता है और फिर प्रत्यके संख्या के अंको को अवरोही क्रम में व्यवस्थित किया जाता है, तो निम्न में से कौन सी संख्या सबसे छोटी होगी? Question. (5) If the given number is deducted from one of the middle digits and then the numbers of all the numbers are arranged in ascending order, then which of the following numbers will be the second smallest? यदि दी गयी संख्याओ में मध्य अंक में से एक घटाया जाता है और फिर सभी संख्याओ की अंको को आरोही क्रम में व्यवस्थित किया जाता है तो निम्न में से कौन सी संख्या दूसरी सबसे छोटी होगी?